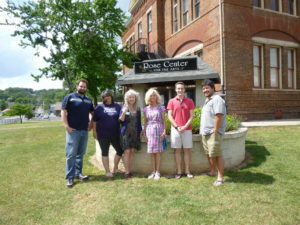 American Press travel News–July 9th, Bob & Barb “On The Road Again”-Once in the city of Morristown, we had visited with Anne G. Ross, Director of Tourism at the Area Chamber of Commerce Office. 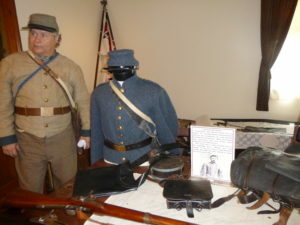 Anne sent us on a very informative itinerary that covered just a bit of the great things Morristown is all about. 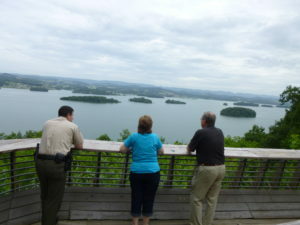 Panther Creek State Park was quite spectacular, Jason Chadwell, Park Manager showed us the incredible sites including an overlook of Lake Cherokee. We also met Craig Price who discussed the newest and most challenging 18-hole Disc golf course. No clubs, just special Frisbee discs thrown into basket-catch hoops. Hillbilly’s Cabin Restaurant was a fine breakfast spot. We enjoyed Spanish Omelets’ and real coffee! 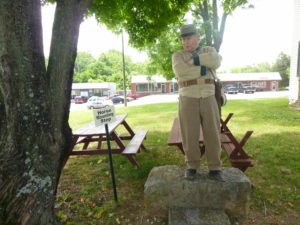 Then we were off to the Meeting Place Country Store & Antiques, and did some shopping for fun oldies but goodies! Yes, Davey Crockett grew up here and since that time so long ago, so did generations of other families and pioneers in business, industry, medicine, the arts and sports! For more info go: facebook:Visit Morristown or facebook: retire Hamblen County, TN. Next week take a peek at The Whitestone Inn on Watts Bar Lake!